I bought this by chance. 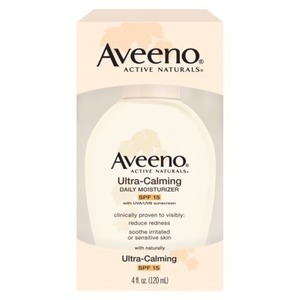 I was using Aveeno products, although was using salicylic based on Aveeno products. After using this , I don't think I can switch to any other products. No more breakouts , no more dryness...just beautiful skin. I personally love this brand, I have very sensitive skin and all other facial cleansers have irritated my skin. But this product is perfect for me. I have to use hypoallergenic products and this is perfect. It cleans without drying my skin out. This is one of my must haves! If I could only express just how DRY my skin is, you'd still never get the full picture. My skin is like the Sahara, and I have tried everything to make it better. I started using Aveeno products about 4 months ago in my last attempt to reclaim my skin. I have a lot of redness in my face due to the fact that my skin is so overly dry that it is irritated. It doesn't matter if it is winter or summer...my skin hates me. Aveeno is now my savior. Since I added strictly Aveeno to my regimen, my skin has been saved. 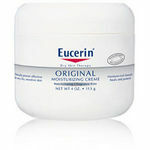 I use this moisturizer in the morning and evening after cleansing. My redness has improved drastically and my skin no longer has actual cracks and overall flakiness. I suffer from Rosacea and it's difficult to find products that work on my face without feeling oily and greasy. I use this as a face wash and it keeps my skin feel moisturize and it calms my face, it's not as red. Not all Aveeno products work for me so this is a keeper. Absolutely love this cleanser. It is very gentle on my skin and leaves it feeling soft and clean. The scent is really subtle and nice. I use this every night to take my makeup off and it does a great job. Price is reasonable as well. Variety is the spice of life! I like to use a variety of beauty products, for different reasons; however, use several Aveeno products as the brand is one that I find works well for my skin. The Aveeno foaming facial cleanser doesn't disappoint.The foam came out nicely the first time. It's just too bad to have to use the pump. That is once, I got the pump to work! The bottle design is a bit of a struggle, and dealing with it, is anything but calming, when trying to get the product to come out, as the top of the pump is stubborn to work with. I cut my finger trying to mess around with the lid. The design flaw aside, the foaming cleanser does what it says it will do. My face is clean and soft after using it. The scent is very light. I would recommend a bottle redesign and scent options. And, because of the design struggle and cutting my finger, I am giving this product 3 out of 5 stars. I am not confident that I would recommend the product because of the poor bottle design; although, I did like the product. I am hopeful that a bottle redesign is in the works. This product did wonders for my skin. I used to have red blotchy skin and this really calmed it down l, keeping it moisturizer and clean feeling. Even though I am a budget buyer, I love this product. 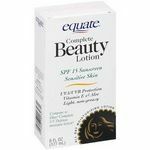 It cleans and refreshes my skin and leaves it really clean and soft. It smells great and I feel like a million bucks. It is really a great price as well. And I would definitely recommend it to other ladies in this world. Definitely worth the price for what you get. I am not going back to any other cleanser. I have sensitive skin and multiple allergies. 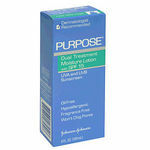 This is the best product out there for calming down red, irritated skin. Doesn't break me out and doesn't dry my skin out. Feverfew is one of the main ingredients and is great for my allergy outbreaks. I recommend this to anyone who suffers from allergies.